Announcement Welcome to eclektics Design. Eclektics Design & Jewelry creates one-of-a-kind globally inspired jewelry and art to share our love of travel and romance. We hope you will enjoy wearing them as much as we enjoy creating them! Welcome to eclektics Design. Eclektics Design & Jewelry creates one-of-a-kind globally inspired jewelry and art to share our love of travel and romance. We hope you will enjoy wearing them as much as we enjoy creating them! I love it! Beautiful necklace. Super fast shipping. Great transaction. Will be a great birthday gift for my daughter! Item is exactly as pictured & described. Creating new pieces in the studio. eclektics Design is about the love of travel, diversity and old-fashioned romance! Back in the 1980's when I was raising my children, I learned quickly that you could find amazing little treasures in garage and estate sales. Perusing these sales was fun for me and the kids, and we could find really cool stuff that made everyone happy. It soon became a passion of mine. Being somewhat of a fashionista and loving jewelry, I would hunt out and find tiny treasures that used to be a part of a fabulous jewelry piece in another time. As I began to collect vintage jewelry, my vintage "parts" began to grow as well. One day the idea came to me to put these parts together to create one-of-a-kind works of art to be worn, giving new life to these relics of the past. What started out as gifts for my family at Christmas and birthdays grew into a full-blown jewelry business by 1990. My original Eclektics Jewelry line was sold wholesale to upscale jewelry boutiques across the nation. Life happened and things changed, and so did my business. I put down the jewelry sign and retired from jewelry design for a high-paced career in marketing and advertising. In 2000 I bought a little marketing agency - Lyric Marketing & Design - and recently rebranded it to Sandy Hibbard Creative, and still going strong. In my role at Sandy Hibbard Creative, I have had the good fortune to travel across the globe, experiencing the diversity in all things material as well as the singleness and beauty of the human race. In my travels I have collected many objects and art that have inspired me to turn my experiences into little pieces of art I can share with you. Today I create little jewelry treasures made from findings I pick up every where. They are one of a kind. They each express my love for life, travel, and all things beautiful. I hope you will enjoy wearing them as much as I have enjoyed making them. Sandy Hibbard is CEO of Sandy Hibbard Creative, Inc. and Eclektics Design and creates her globally inspired jewelry and art to share her love of travel and romance. She also writes the SaturdaySoul.com & 2SistersinParis.com blogs. Welcome to eclektics Design! Pronounced EH - KLEK - TICS, this is the place to find the mixture of design inspirations that represent our diversity in the world. Each jewelry and art piece is inspired by the love of travel and romance. We hope you will spend time here often and build a collection that will inspire you to see the world as one beautiful adventure! I want only happy customers! If you are unhappy with any item you purchase please email me and we can work something out. I will gladly exchange merchandise or offer a full refund (minus shipping) if contacted within 5 days. Return items must be properly packaged so there is no breakage. 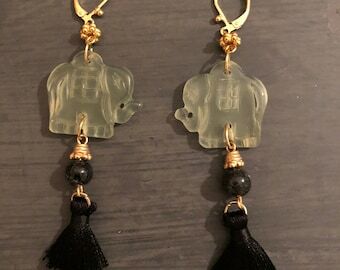 Please keep in mind that our pieces are one of a kind and because various new, old, and handcrafted elements are used, they will have minor flaws meant to be part of the eclektic appeal. I accept paypal, money orders and checks. If paying by check or money order please email me approximate mail date. If paying by check your purchase will not be shipped until your check clears, usually within a week. Please pay all invoices in three days. Your purchase will be shipped in a box, wrapped appropriately and protected. All items will be shipped within two days of purchase. If something unexpected comes up, and I can't ship within this time, I will email you and let you know. I ship USPS Priority mail. If you would like a different shipping method, just let me know and I can adjust your shipping amount if necessary. Custom orders are welcome. 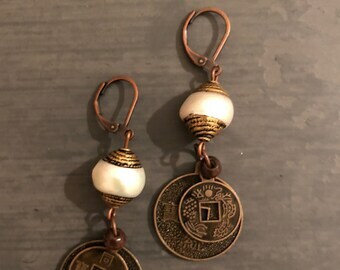 If you have a vintage "part" from grandma's jewelry box and would like a custom necklace, brooch or other piece of jewelry, please email me with information and a photograph of the item and we will give you an estimate.